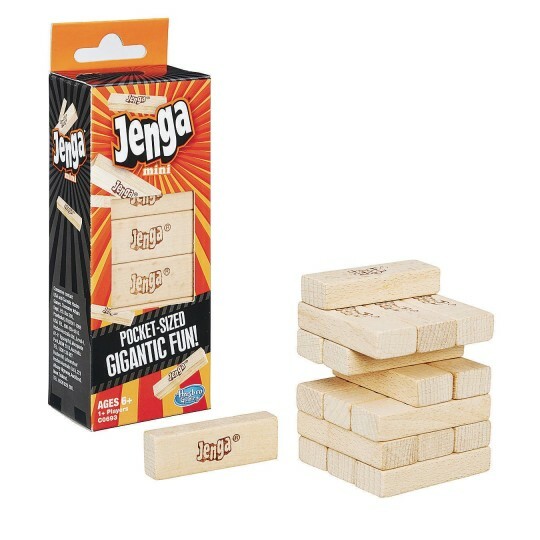 All of the fun of Classic Jenga® in a mini size! All of the fun of Classic Jenga in a mini size! Includes 18 mini wooden blocks. 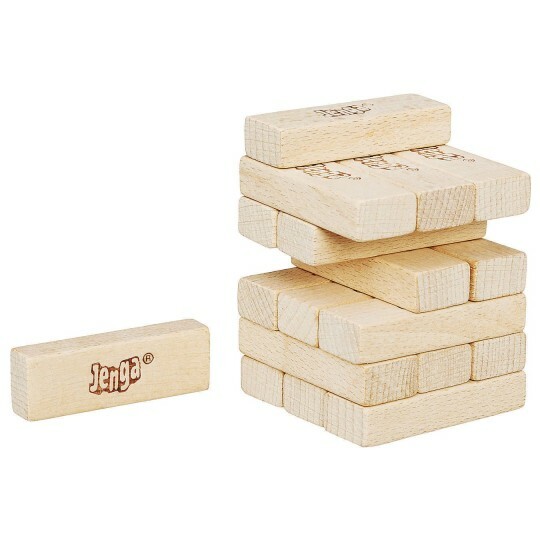 Enjoy the excitement and anticipation, as each player carefully pulls out blocks and tries to build the stack higher until it comes tumbling down. Be the last player to stack a block without causing the tower to tumble down to win! 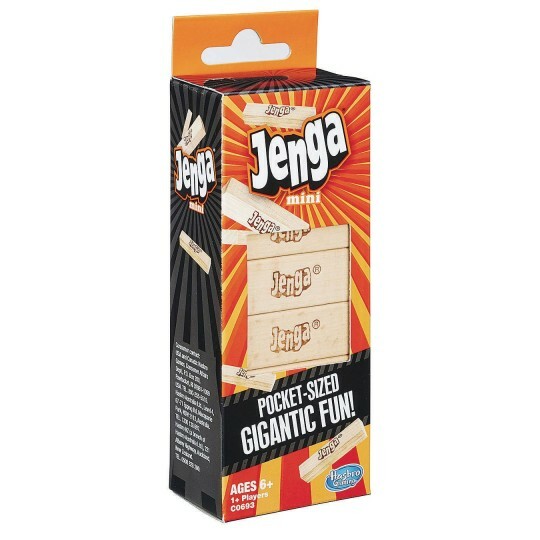 Includes 18 Jenga mini hardwood blocks (2-3/16”W x 4/5”H x 1/2”D). For 1 or more players.